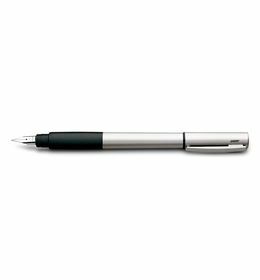 Sleek and slim, the Logo exemplifies Lamy's distinctive modern style. 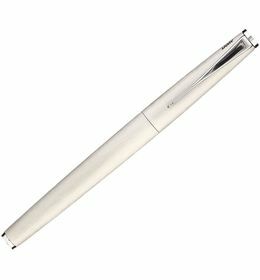 Its attractive and pleasantly textured stainless steel body inspires immediate confidence while being surprisingly lightweight. It is well-balanced and comfortable to hold either posted or unposted. Its spring-mounted clip opens wide for easy attachment to virtually any pocket or notebook cover. 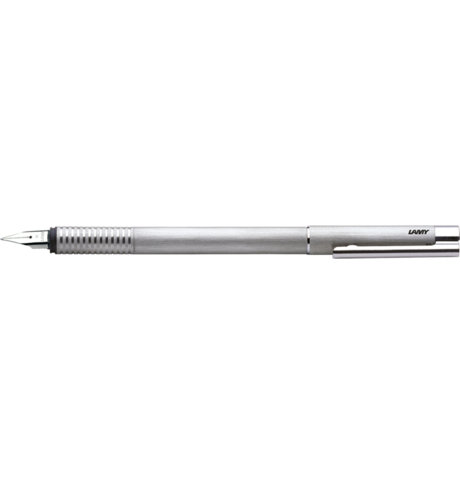 Sleek and slim, the Logo exemplifies Lamy's distinctive modern style. Its attractive and pleasantly textured stainless steel body inspires immediate confidence while being surprisingly lightweight. It is well-balanced and comfortable to hold either posted or unposted. 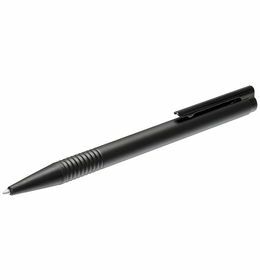 Its spring-mounted clip opens wide for easy attachment to virtually any pocket or notebook cover. Cancellation and Return Policy: • Cancellation: Upto 24 hours of departure is fine • Returns: No returns/exchange or refund. • Warranty as per our standard warranty conditions. 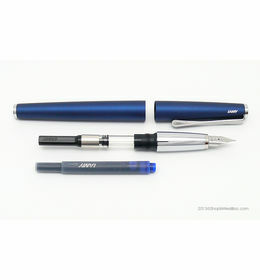 Designed by Wolfgang Fabian, designer of the famous Lamy Safari and Al-Star pens. A converter is not included.